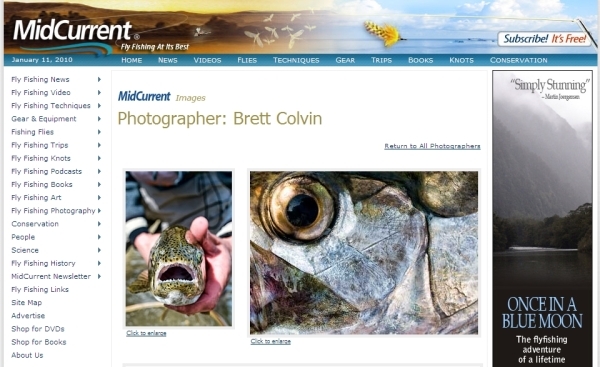 Many thanks to Marshall Cutchin and Tim Romano for featuring my photography on MidCurrent, which is one of the world's largest providers of fishing news, media, and techniques. It's an honor considering the guys who have been featured previously are some of the best in the biz. Click on the photo to view the page. There are plenty of exceptional images in the photography section, drop in and check 'em out. A well-deserved honor - congratulations! Nice to see you there. Congrats, man! Thanks Scott, the staff over at MC is a great bunch and I enjoyed working with them. AV: Your feature was one of the "founding fathers" over there. That shot with the headlamp and fly box is epic brother.